Vivienne Westwood Man London Manning flannel pinstripe, Strap Cuff Classic Trousers dark navy blue. Button fastening. Belt loops. 2 side pockets and single pocket at rear with button fastening. 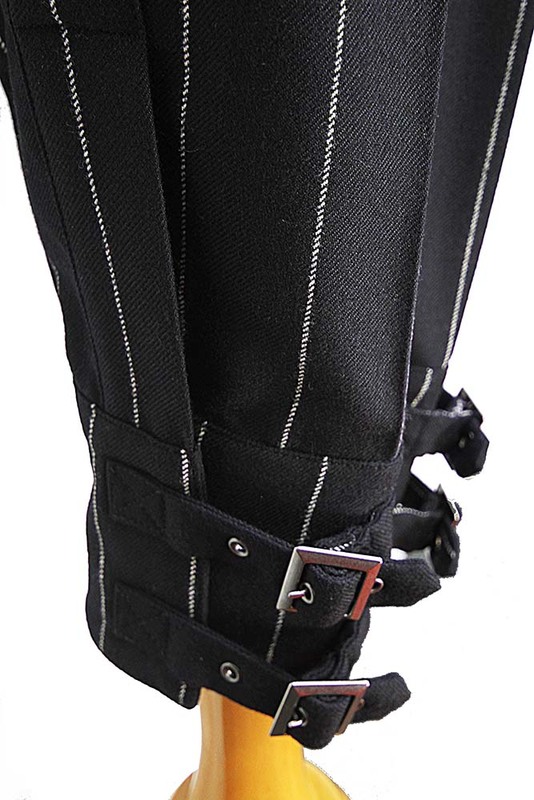 Vented at the hems with 2 fabric straps with metal buckle fastening on each leg. Partially lined in manhole print fabric. match the jacket in the same fabric to make an awesome suit.